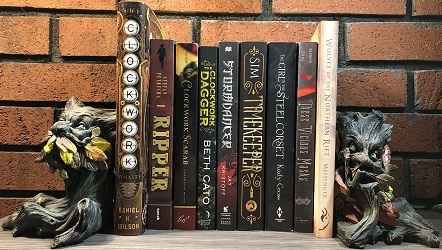 We are heading into the sixth month of the Parasolverse Read-Along. The book for January is Soulless Book One of the Parasol Protectorate Series If you have not joined us yet no worries jump in here. These are my favorite!!! If you are still interested in joining along please do so! Also, there is now an Illustrated version of this book! OH, this looks like something I’d enjoy, but I’ve already got too many books lined up for January! Looking forward to reading your thoughts! Have you read the comic version of this book? It’s certainly interesting, though I still prefer the book better than the comic. I haven’t seen the illustrated version of this book, though. I have not yet. The illustrated version just came out this past September. I’ll need to check it out, because I loved this book!